Some of today’s major retailers are making major strategic bets that Omnichannel is a steadily growing trend that is here to stay. Early on, they have engaged in an important learning curve that gives them a competitive edge. For instance, according to Retail Information System News, Macy’s began its Omnichannel journey in 2009. By 2012, Macy’s saw 42% quarterly growth in online sales by delivering goods to customers when and how they wanted them. Next, according to a 2015 Multichannel Merchant article, Macy’s has continued its digital retail investments by hiring 150 people for its digital technology organization, supporting the growing Omnichannel business. Given that Omnichannel is continually evolving, early adopters – like Macy’s– are gaining a leg up on the competition by securing critical insights into digital consumer needs. They are also learning how to overcome key barriers in delivering unmatched digital brand experience. Other retailers, slower to adopt, are making minor Omnichannel bets such as mobile application deployment or are still in a “wait and see mode” may continue to slowly fall behind the digital transformation curve. Perhaps the winners of the Omnichannel race will be determined by the retailers who have developed the early knowledge and leveraged the best tools to overcome barriers, delivering an unmatched Omnichannel brand experience tailored to their customer’s evolving purchasing demands. For retailers making minor bets or for those just getting started down the Omnichannel path, a sense of urgency has now arrived. Perhaps, after learning from social media recommendations, some of their customers are viewing the competitor’s digital showrooms and are enticed to make a purchase with the expectation of having a better brand experience. These retailers need to gain insights about their customers, namely that they take both a ‘predictable and unpredictable Omnichannel purchasing journey. They will also likely uncover the channeling barriers that may be blocking their ability to make the Omnichannel journey fast, seamless and competitively delightful. A study by MasterCard (The Omnishopper Project, 2015) determined that ”8 out of 10 consumers globally used a computer, smartphone, tablet or in-store technology while shopping.” For those retailers planning or revising their Omnichannel strategy, the ‘digital’ consumer shopping methods are the predictable part. In other words, no matter if your customer is at home or in a brick-and-mortar store, they will use digital technology to discover and research product information. The business challenge is attracting these digital consumers to your digital showroom via a mobile commerce platform. The technical barrier here is ensuring that the mobile platform is well-integrated to backend fulfillment systems, so that consumers receive the rich amounts of detailed –real time–product information (e.g. pricing, description, availability, peer recommendations, etc.) with the ability (naturally) to place orders. 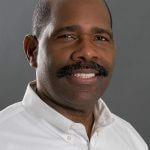 The technical barrier to overcoming these challenges is to seamlessly connect a diverse set of fulfillment systems that include: Ordering, Inventory, Transportation, Warehouse Management and Enterprise Resource Planning. By effectively and efficiently connecting these systems, next day delivery is possible no matter which delivery method is requested. While some alternatives exist to fulfill these requirements, SEEBURGER’s Business Integration Suite (BIS) is a Comprehensive Hybrid Integration platform that meets all of the requirements above. It is the only single, home-grown, multi-purpose integration platform in the market- there are no third-party bolt-ons embedded in the software resulting from acquisitions. Now your retail company can quickly accelerate the delivery of an unmatched Omnichannel customer experience. 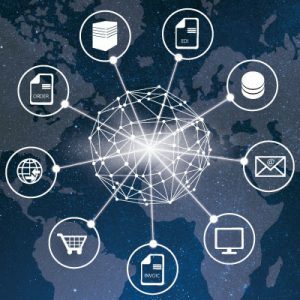 BIS is uniquely designed to quickly connect –without programming–your entire backend supply chain, cloud processes, various enterprise integration patterns–including MFT–with your frontend digital Omnichannel processes. It will transform slow legacy backend system liabilities, such as disconnected platforms, into modern, connected Omnichannel assets that move at lightning speed. In essence, BIS quickly and cost-effectively closes your ecosystem information gaps by transforming your isolated back and frontend systems into a single agile infrastructure that moves at the speed of your Omnichannel markets. SEEBURGER has thirty years of vast experience and expertise pioneering global integration frontiers, bringing the best German-engineered integration products and best practices needed to make you successful in the Omnichannel retail world. Next month’s Blog “People, Processes, and Data…Oh My…Successfully Walking Down the Yellow Brick Road of Omnichannel Integration.